The Mercedes-Benz SL is dominated by an expansive hood leading down to a grille accented by a giant three-pointed star. 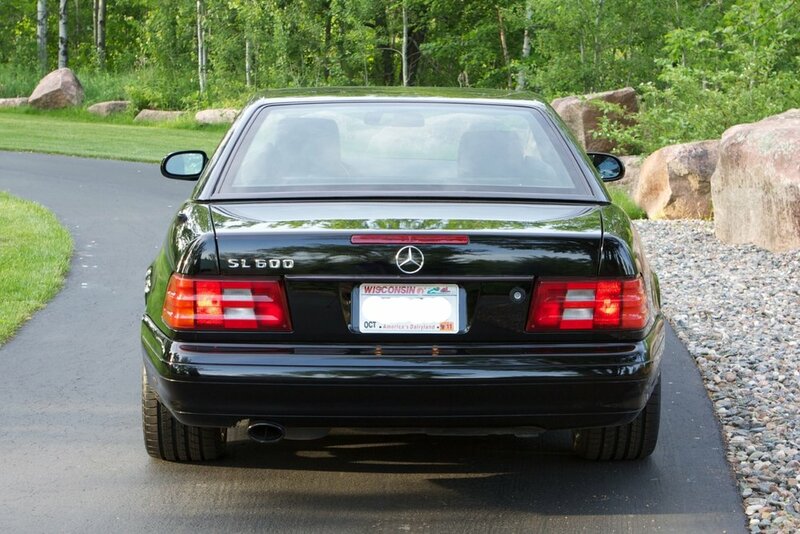 The styling has been revised for 1999: New SLK-style mirrors, body-color door handles and side molding, new taillights, a new rear valence and a new tailpipe design all give the SL models a sportier stance. The brakes are massive four-wheel discs, almost a foot in diameter up front and only an inch smaller in back. They are backed up with the Mercedes-Benz Brake Assist system. Hit the brake pedal fast and Brake Assist presumes a panic stop and applies full braking force faster than most drivers, reducing stopping distances in emergency situations. The new Sport Package adds to the sporty look of the SL with a special aerodynamic front bumper designed and installed by AMG, the famous tuner firm that specializes in Mercedes-Benz products. The bumper has projector beam fog lights in a deeper apron with a mesh air dam. Pay this much for a car and the interior ought to be something special, and with the SL600 it is. Nappa leather upholstery and trim is standard on the SL600 this year. The seats are Teutonically firm. Though the seatbacks are well bolstered, the seat bottoms are rather flat in the Mercedes-Benz tradition. The steering wheel is leather-covered, but the shift lever for the 5-speed automatic transmission is capped with a hard plastic blob. The Germans have caught on to the concept of cupholders, and the SL has a pair in the console that, when retracted, become a storage bin. The SL has another hideaway, a mini-glovebox on the dash next to the passenger seatbelt disable switch. The climate control system with electrostatic pollen and dust filter is easy to use and effective, but the audio system may require several trips to the owners manual. A button raises and lowers the roll bar that pops up automatically in an accident. Pressing a jujube switch on the console is all that's needed to raise and lower the convertible top. It even unlatches itself from the windshield header and hard tonneau before the tonneau rises for the top to tumble into. An aluminum hardtop comes as standard equipment. 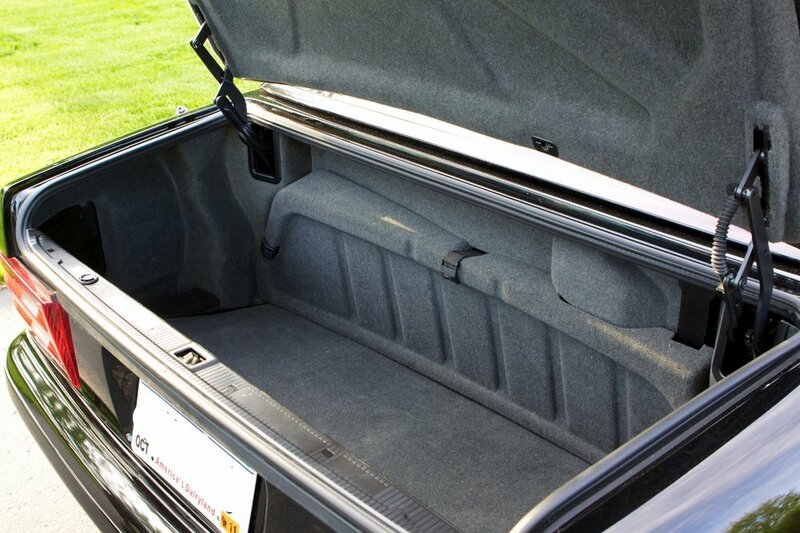 The trunk is relatively small and the lift-over is high, but every cubic inch is usable and, unlike many two-seaters, the SL has a large area behind the seats for everything from picnic baskets to coats to overnight bags. The SL looks as big from behind the wheel as it does from outside. One sits down inside the cockpit. The dash is relatively high and the hood stretches out before it like a classic automobile from the 1930s. The steering wheel is high, like most German cars, and, though the steering wheel is tilt-telescopically adjustable, lowering it blocks those finely crafted gauges. It also blocks the view of the road immediately in front of the car, but you should be looking farther down the road anyway. The engine starts instantly, with a roar that quickly settles down to a quiet idle. Don't look for temperamental behavior from this engine. If she didn't put her foot down, your meek maiden aunt could drive the SL around town. 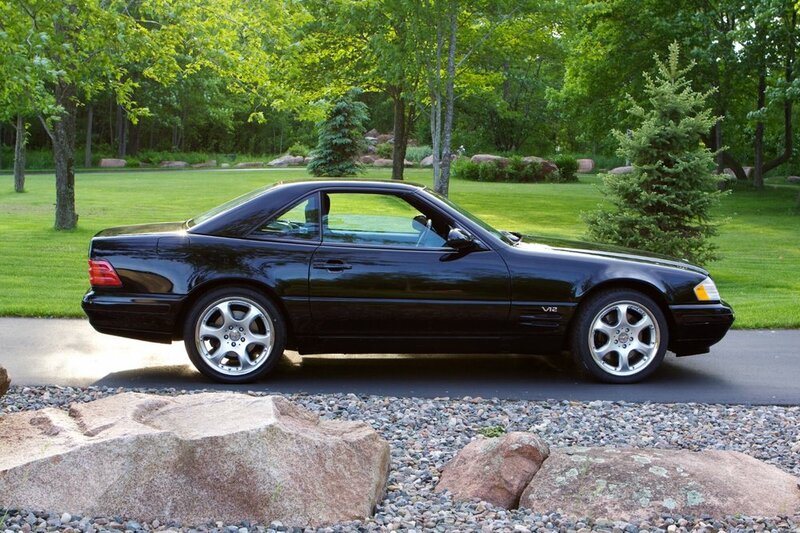 Of course, the SL could attract enough attention to make her your meek aunt, and if she learns to use the right pedal, she'll lose the meek part as well due to the Saturn V thrust of the SL600. 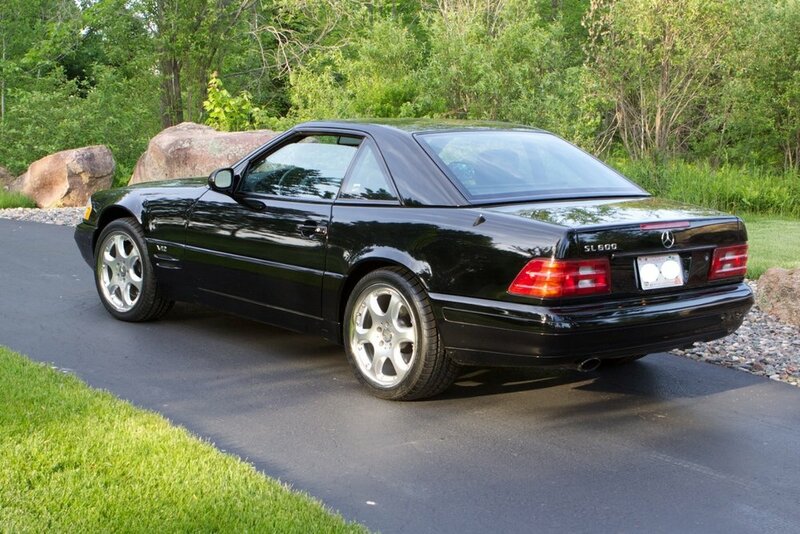 Mercedes reconfigured the exhaust for a throatier tone, though don't expect the rumble of a Z-28. The SL is more subtle than that. Full throttle sounds better with the top down because the wonderful exhaust note comes through better without the fabric filter. The standard 5-speed automatic transmission has a zigzag shifter pattern to allow it to be used easily as a semiautomatic. It's not necessary, however. Leaving the transmission in Drive gives buttery smooth shifts whether at part or full throttle. The SL is a wide car. Steering is precise and the power assist provides enough feedback for the driver to feel the road. There's a lot of tire under the SL. Push it hard through a corner and you can feel this car working out. There's two tons of Mercedes-Benz to harness. Under normal circumstances it's almost impossible to break the tires loose from the pavement. Those who do have ESP to help maintain control. On the road, it's hard to get this into action without being terribly foolhardy, but the ESP makes it possible to really power out of a corner without worrying about the rear end sliding out.